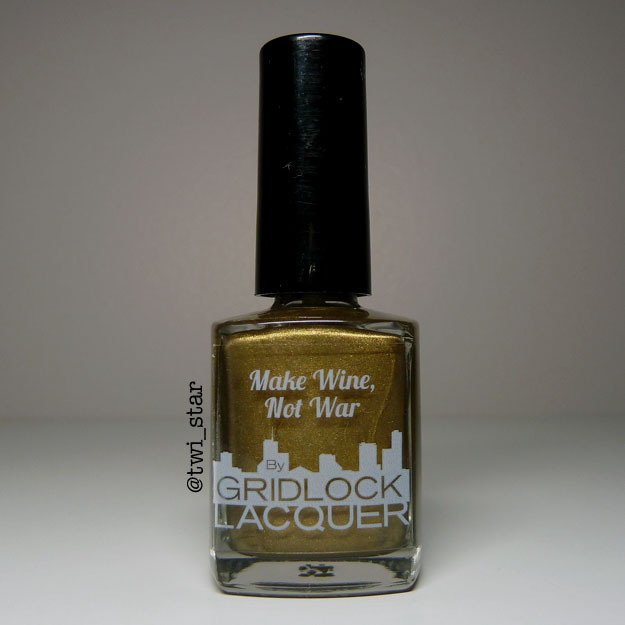 I have another Gridlock Lacquer Beer & Wine Collection polish to share with you today! A gorgeous golden khaki green, Make Wine Not War. This color really came alive when applied, it looked nice in the bottle but on the nail it has a golden glow to it. Sooooooo pretty. Check out how I wore it. Ooooooo, ahhhhhhhhhh. This is a very ME color, I love anything that reminds me of Fall colors and this just looks like the sun shining on just starting to turn leaves. Wow, I’m a regular poet lol This is 2 coats, the formula was great and very opaque. I’ve noticed a lot of the polishes in this collection have that type of shimmer that comes and goes as you move your hand, I love that! You can see it here on my thumb that is tilted away from the light source, it gets a little darker and mysterious. For my accent nail I tried a nail outline with a peace sign over OPI My Vampire is Buff. My first time trying to do the outline thing, I think I did ok! These 2 are a great combo, the perfect creaminess of MVIB really stands out. 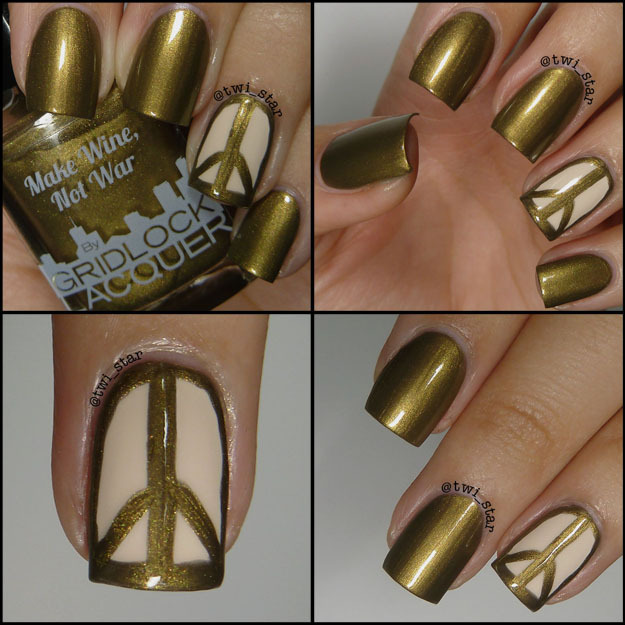 I didn’t want to take this mani off, I loved every minute of wearing Make Wine Not War. Thanks for stopping by!